Oh my gosh, we’re back again! For this edition of Bus Route Buzz, let’s look at route 169. 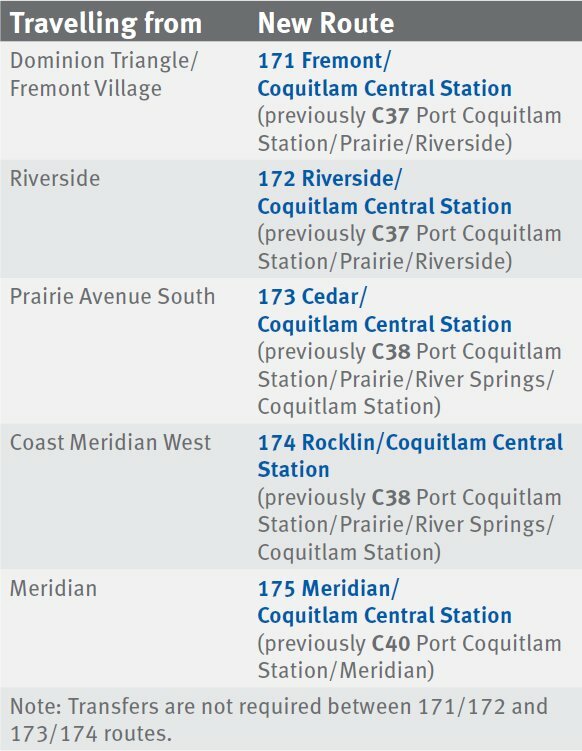 With the Evergreen Extension open, customers who travel between Coquitlam and Braid Stations can now use SkyTrain! To accommodate new building construction on Holly Drive and on Orchard Drive, the 169 will continue on a detour routing southbound until late 2019. The 169 will reroute all northbound and southdbound trips via Riverview Hospital groups via Holly Drive, with service operating every 30 minutes. Next time on Bus Route Buzz, get ready for some more NEW routes in Port Moody and North Coquitlam! As always, you can learn more about bus changes on our Facebook live stream with Denis the Planner! Welcome back to Bus Route Buzz! 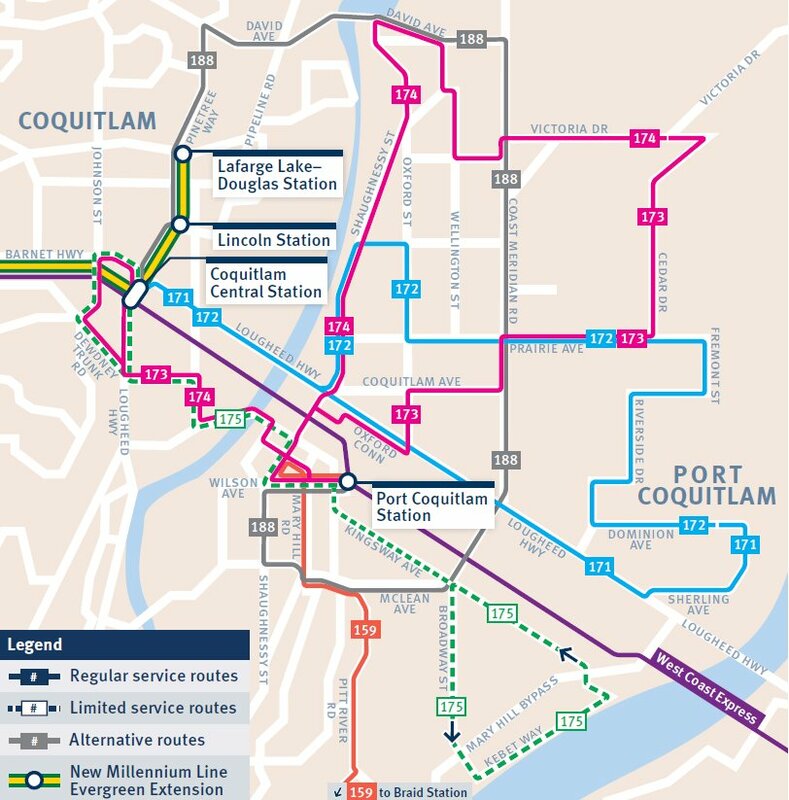 In this post we’re exploring more of Coquitlam with routes in the southwest area of the city getting more service. 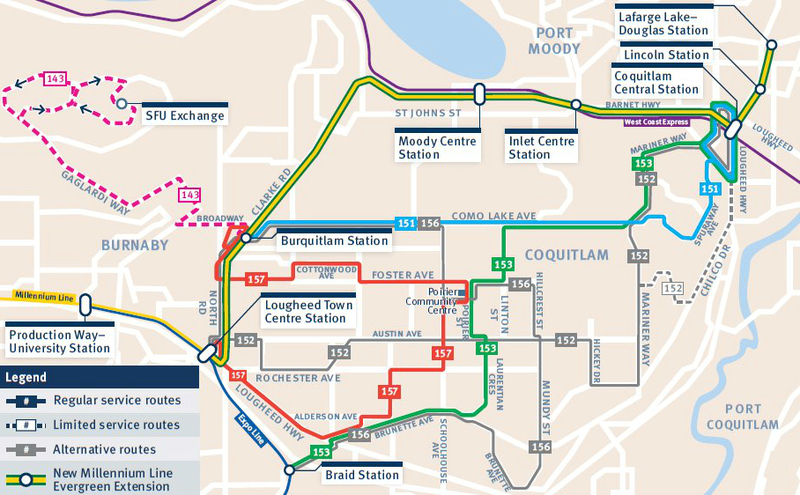 This route connects SFU and Burquitlam Station with a high-capacity all-day service to SFU with articulated, 60′ buses. This route will no longer serve Como Lake Avenue. Why shorten the 143? Well, there is vastly different ridership demand on the two segments of the 143. The section between Burquitlam Station and SFU has higher demand than the section along Como Lake to Coquitlam. By separating this route, we can adjust service to demand much more easily! 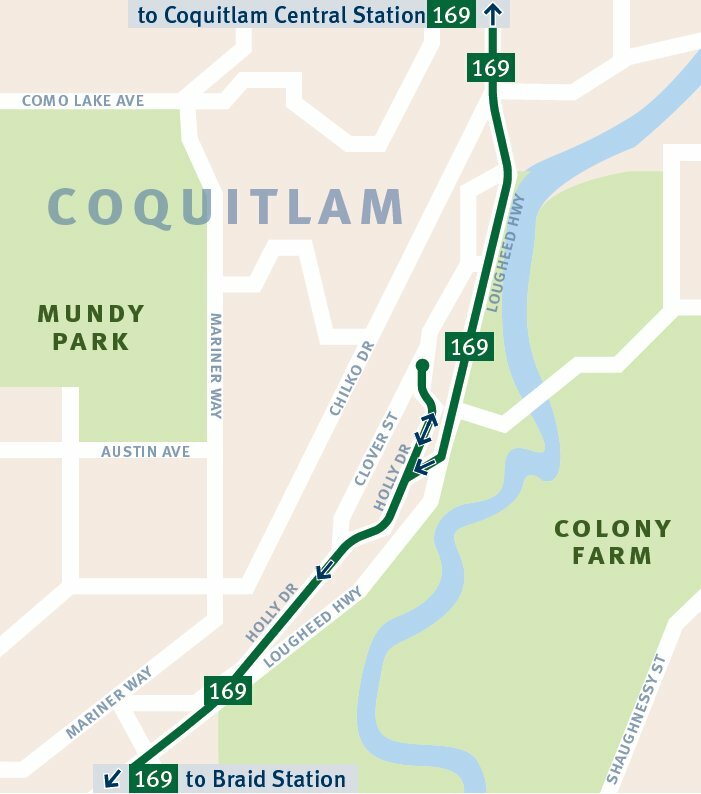 This route will run seven days a week between Coquitlam Central Station and Burquitlam Station along Como Lake Avenue, picking up the local area removed from the 143 route. 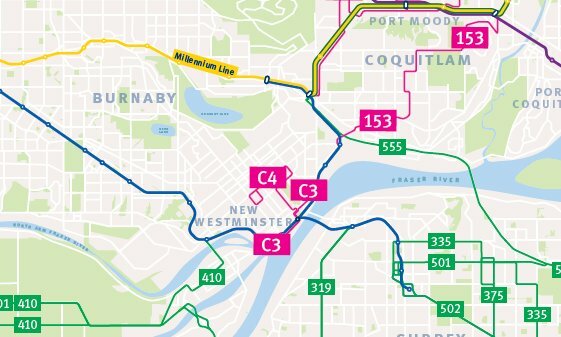 The 153 extends from Poirier Community Centre to Coquitlam Central Station via Mariner Way. The 157 extends from Poirier Community Centre to Burquitlam Station via Foster Avenue and Cottonwood Avenue. Stay tuned for the next Bus Route Buzz installment where we’ll examine some route name changes and brand new bus routes in Northeast Coquitlam and Port Coquitlam.